Supplier Gestamp North America plans to invest at least $100 million in an idled West Virginia stamping plant to make parts for Honda Motor Co. and Ford Motor Co., the Charleston Daily Mail reported. The investment is expected to create as many as 700 jobs for the plant in South Charleston and Gestamp will start work with two production lines, expanding to five or six, according to the report. 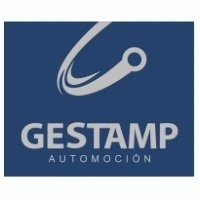 Parent company Gestamp Automocion of Spain last July acquired ThyssenKrupp's Metal Forming group, which manufactures and supplies auto body and chassis stampings and assemblies. Gestamp North America President John Craig, in an interview with the newspaper, did not say what parts the plant would supply to Honda and Ford, nor which Honda and Ford models or plants would be involved. He said it was unknown if the plant will provide parts for Volkswagen's Passat plant in Chattanooga. Gestamp operates a plant in Chattanooga that supplies VW with stamped parts and welded assemblies for the Passat. Gestamp signed a 12-year lease with the West Virginia plant with two 12-year renewal options, and Craig said the company will seek business with BMW, Mercedes, Volkswagen, Honda, General Motors, Toyota and Ford from that location, according to the paper.